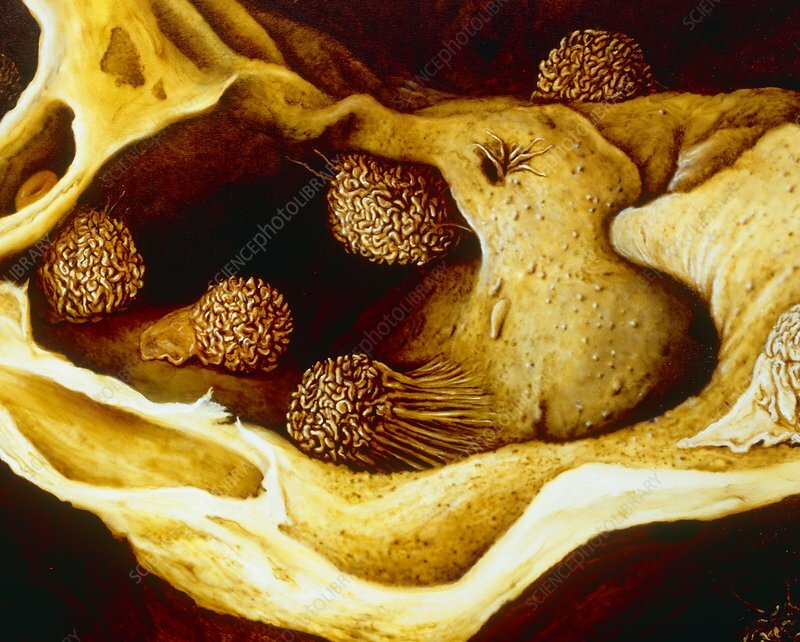 Illustration based on a scanning electron micrograph of macrophages fixed to the surface of alveoli (air sacs) in the human lung. Macrophages are monocytes (white cells) which have migrated from the blood to tissues, notably in the lymphatic system & lungs. They act as scavengers, engulfing foreign particulate matter by the process of phagocytosis. In addition, the macrophage deals with foreign (antigenic) substances during the initial phase of immune response. Antigens are presented on the surface of the macrophage so that they can be recognized & ultimately eliminated by specific lymphocytes.